ZADA began in late 2016 as a grassroots, community-driven effort to help ensure fairness in Zwift racing. The “Zwift Anti-Doping Agency” was a team of volunteers working to verify riders who were turning in exceptionally strong Zwift race performances, often in the 5 w/kg+ range. But early this year, ZADA ceased operations. 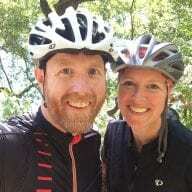 You can read about the details of this decision here, but essentially the ZADA team realized they couldn’t fulfill the demands placed on their organization given the continued growth of Zwift racing. Zwift has today confirmed that it will support a “new look” ZADA as Zwift continues to expand its eSports offering. Zwift Accuracy and Data Analysis (ZADA) has been engaged for the new KISS Super League eSports series on Zwift. All podium finishers and at least two random riders are subject to ZADA review after the conclusion of every round of the series. Riders subject to ZADA verification may be required to submit equipment data, weight verification, power files and other information that support their performance from past indoor and outdoor training/races. Zwift reserves the right to use ZADA for any suspicious performances in any Zwift races. The new ZADA team is made up of Zwift consultants and employees, with Stephen Chu (Zwift’s General Counsel) acting as administrator. The team has elected to keep all of its members besides Stephen anonymous at this time. At its core, the group’s role is the same as it’s always been: to ensure fairness in Zwift racing. But the resurrection of ZADA has brought about some key changes as well. A New Name: ZADA now stands for Zwift Accuracy and Data Analysis, a marked change from “Zwift Anti-Doping Agency”. Verifying Performance, Not Players: the old ZADA would certify a rider once, essentially giving the stamp of approval to all future efforts. The new ZADA is focused on verifying specific performances, so even if a rider has one race performance verified, they may need to be (and likely will be) verified in subsequent races. This is an important and very good change. 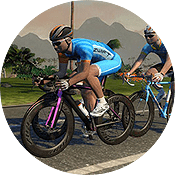 For Key Zwift-Sponsored Races Only: while ZADA reserves the right to check performances for any race, they are currently only targeting Zwift’s own marquee events such as the KISS Super League and recent National Championships. (In fact, Zwift has DQ’d many winners of this year’s National Championships through the ZADA review process.) Organizers of community race events will remain responsible for managing/verifying their own results. Checking the Podium + 2: rather than waiting for a rider to submit their information for approval, ZADA is now proactively performing verification on podium finishers as well as two additional riders. This is similar to how many outdoor anti-doping organizations function. If the racer had an equipment malfunction they will receive a DQ for their performance, but no further sanctions since the act was not intentional. If the racer is found to be cheating they will receive a DQ. Depending on the severity of the infraction, they will be booted from the entire race series, their points removed from rankings, and their team will not be able to replace the rider. Additional infractions carry even stronger sanctions, including bans from all Zwift eSports races. Zwift isn’t coming right out and giving us the details of how ZADA verifies particular performances, and that’s for the best. If the cheaters knew how they’d get caught, they would learn to cheat better! What is clear is that ZADA now has access to more and better data than the ZADA of old ever had. 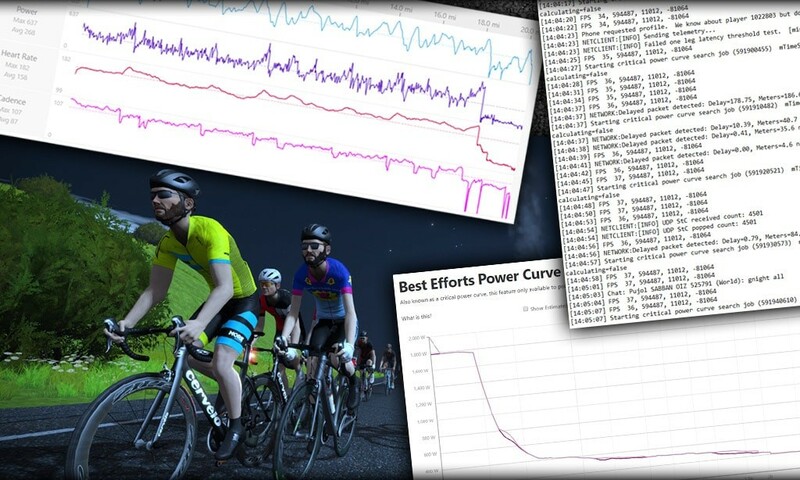 Thanks to Zwift employees on the team with a strong set of data mining tools, ZADA is able to leverage all information that Zwift tracks in order to verify performances. It’s no secret that Zwift is making big moves as the leader in the world of cycling eSports. We’re seeing them partner with national governing bodies like British Cycling and we’ve just seen the launch of KISS Super League, the first professional eSports cycling league for men and women. All of these efforts mean more publicity for cycling as an eSport. That publicity means more monetary investment, more exposure to cheating, and in the end more risk (and potential reward) for those who want to be a leader in this space. It will be fascinating to see how performance verification evolves as the stakes get higher, the data gets richer, and the tools get stronger. Great move bringing back a verification “governing body” of sorts, especially as Zwift racing is gaining more and more popularity outside of the regular Zwift user circle. Is this new ZADA actually related in any way to the old community-based ZADA team? Or just new people (well, Zwift employees) taking on the old acronym? At least one person on the new ZADA team was involved in the old one. But from the sound of it, this is an almost complete reboot from the old ZADA. Great, so, is it possible to report riders? And if so, where would one go to do that? It’s only for the pro races…A+ category. If that’s the riders you are talking about, then I’d just e-mail Zwift with your info. So ZADA will keep it a secret how they identify “cheats”? How can a “cheat” then defend him-/herself? Are the ZADA methods so flawless that errors are 100% not possible? This smells a lot like just plain dictatorship! Any governing body _must_ be transparent and open to scrutiny of their methods! I hope, eventually, they start keeping track of all events/races on Zwift. I’m still seeing a lot of very questionable power numbers being put out by some in the races I’ve done. Most probably aren’t cheating, per se, but I’d be willing to bet that many are turning a blind eye to their miscalibrated trainers. For races there should be a special category for ZPower riders, as those without actual power meters are typically the ones with the absurd power output during a race. In fact, they probably shouldn’t be noted in the official results at all.